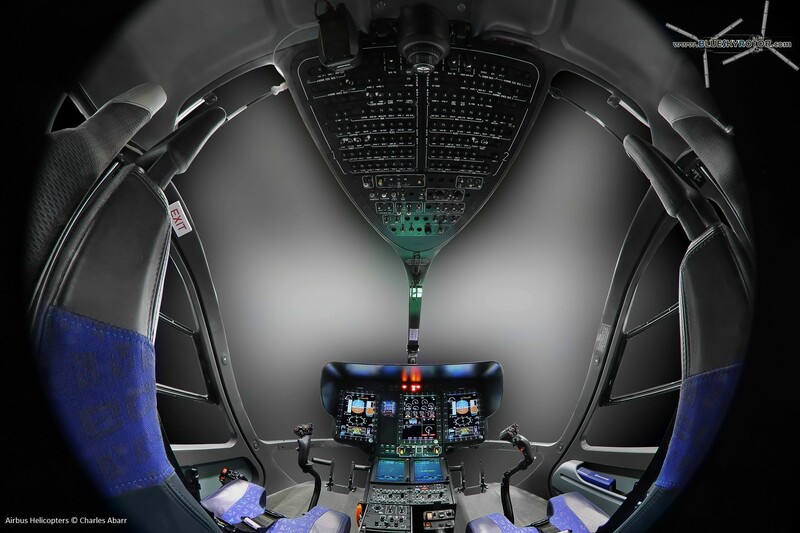 Airbus Helicopters certified its EC145 T2 recently. The new aircraft is based on the famous EC145 aka BK117 C2. 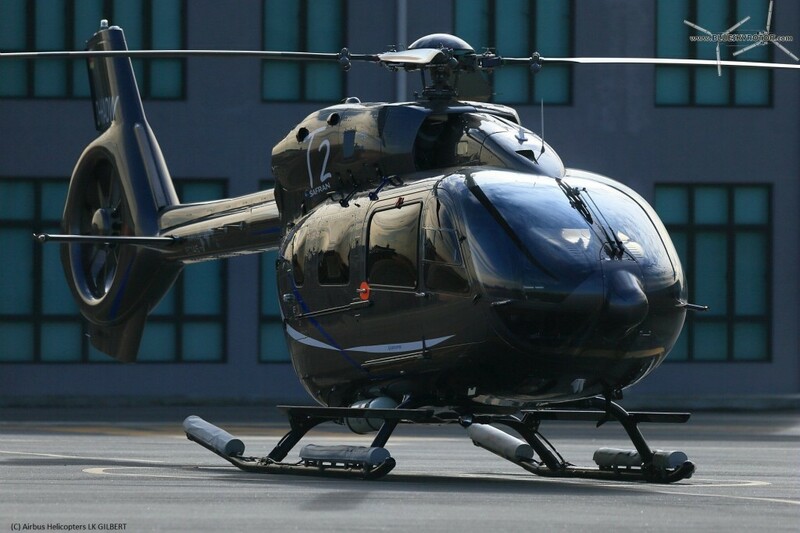 Both designations EC145 T2 and BK117 D2 refer to the same aircraft. Enhancements incorporated in the T2 version of the 4-metric-ton category EC145 include new Arriel 2E engines and the company’s signature Fenestron® shrouded tail rotor, along with upgraded main and new tail rotor gear boxes, and an advanced cockpit that uses Airbus Helicopter’s innovative Helionix digital avionics suite with 4-axis autopilot. 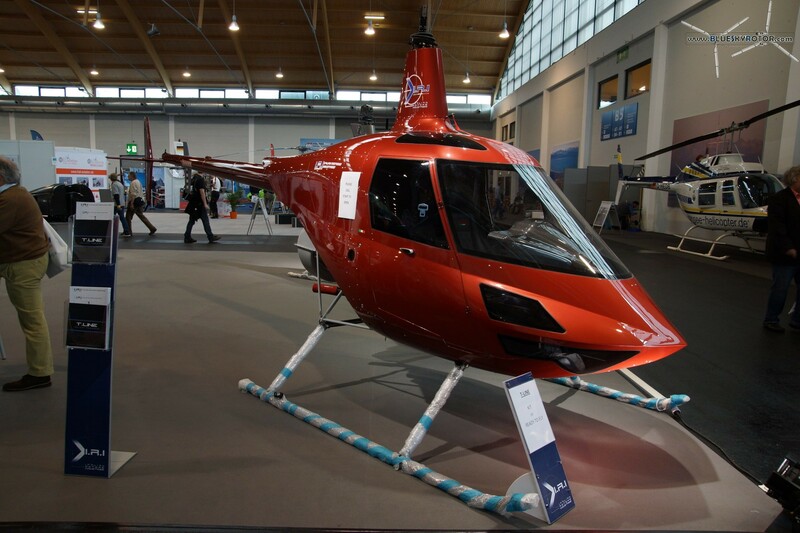 AERO Friedrichshafen 2014: light helicopters! 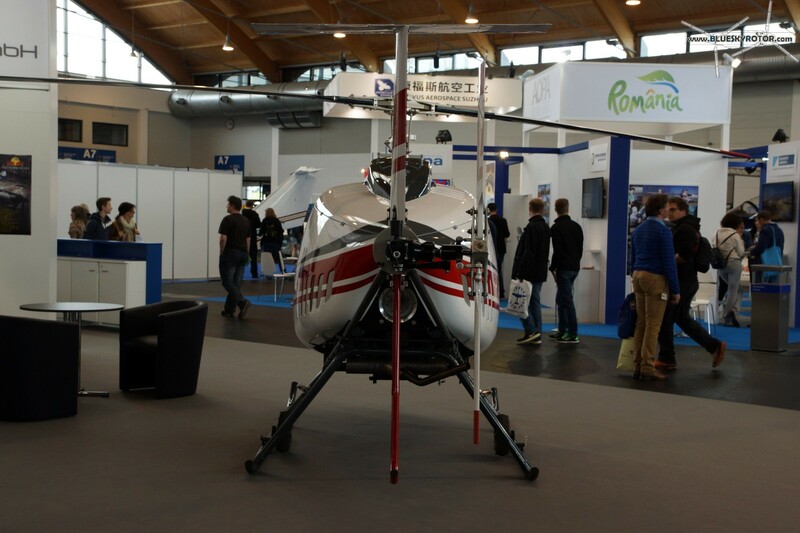 Every year and a few steps away from the lake of Constance, southern Germany, the airport of Friedrichshafen hosts the AERO trade fair, gathering many manufacturers from the light general aviation. 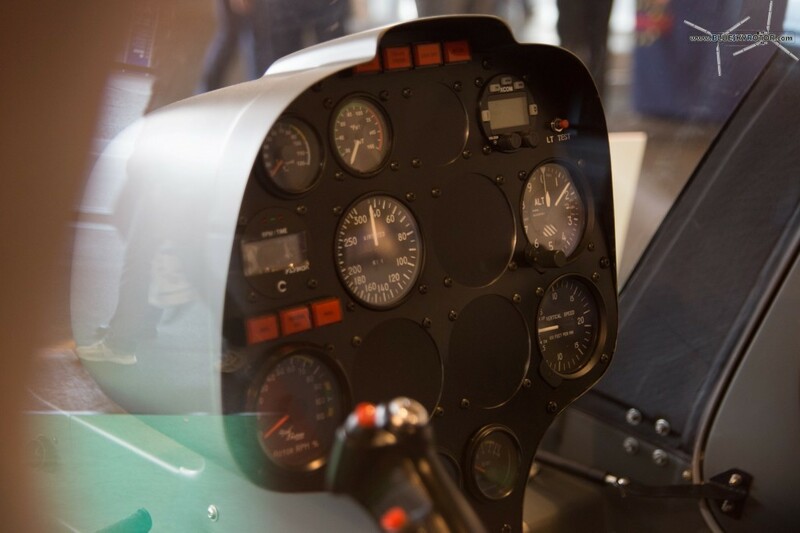 Ultra Lights and gliders, small and light aircraft, gyrocopters and helicopters, navigation systems and digital maps, everybody had something to keep himself busy. Of course, I headed for the helicopters. The exhibition is mostly European. 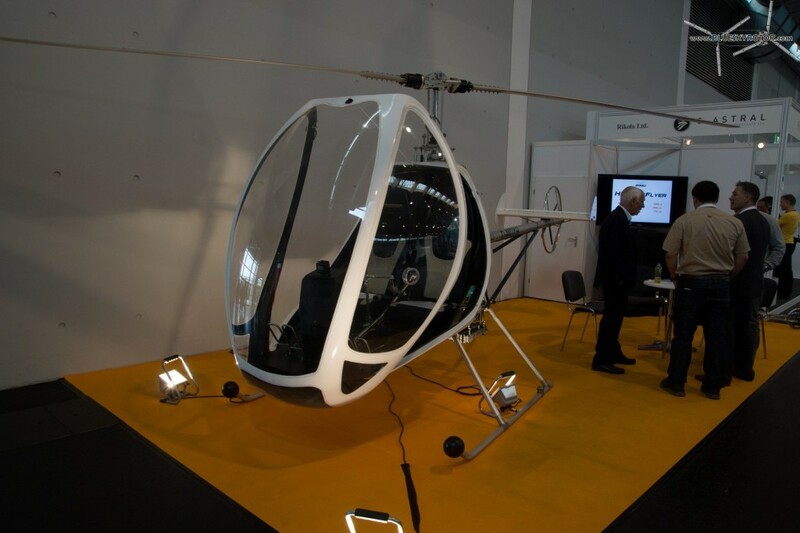 Robinson was not present, as well as bigger manufacturers like AgustaWestland or Airbus Helicopters. 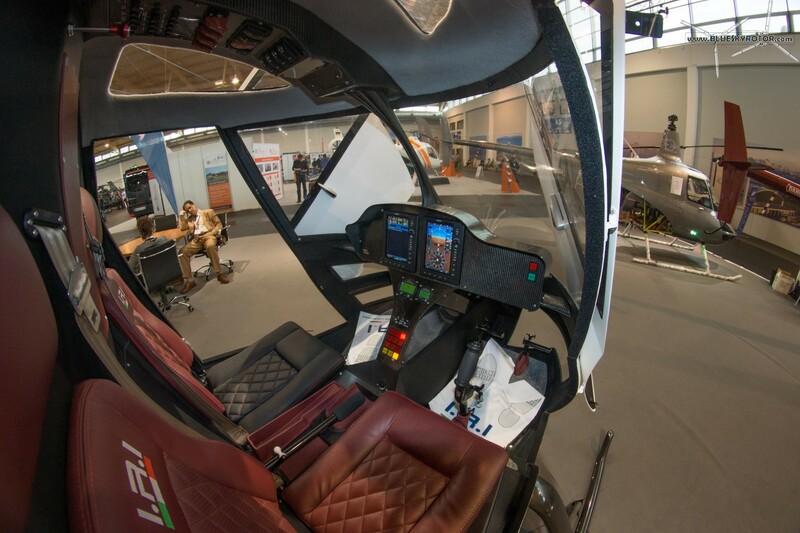 e-volo is a young German company aiming for an electric “multicopter”. 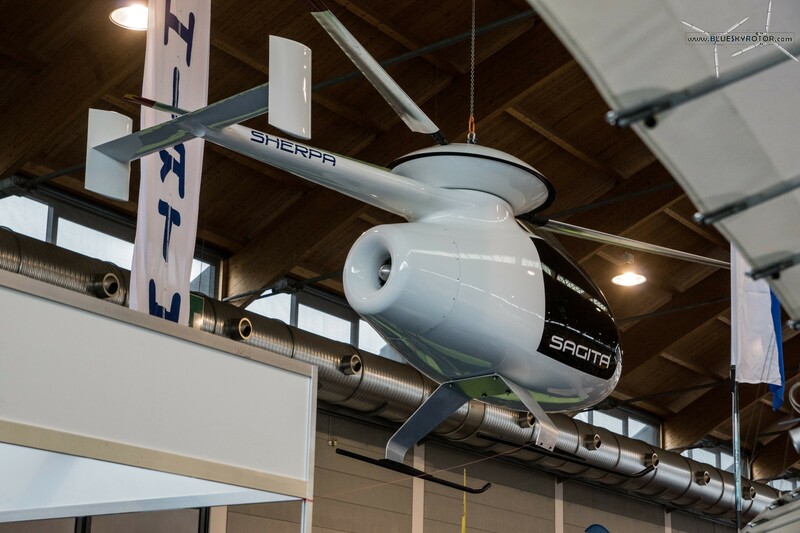 The Volocopter is a dream to every young engineer: the elegant concept featuring 18 electric motors (55 to 90 kW) proved its feasibility with an indoor unmanned flight last year (November 2013), and outdoor “real” flights are expected with excitement. The aircraft will be certified as Ultra Light with a gross weight of 450 kg and 2 persons side by side. 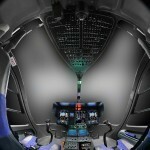 Cruise speed would be at least 100 km/h, longer than 1 hour and higher than 6500 ft. 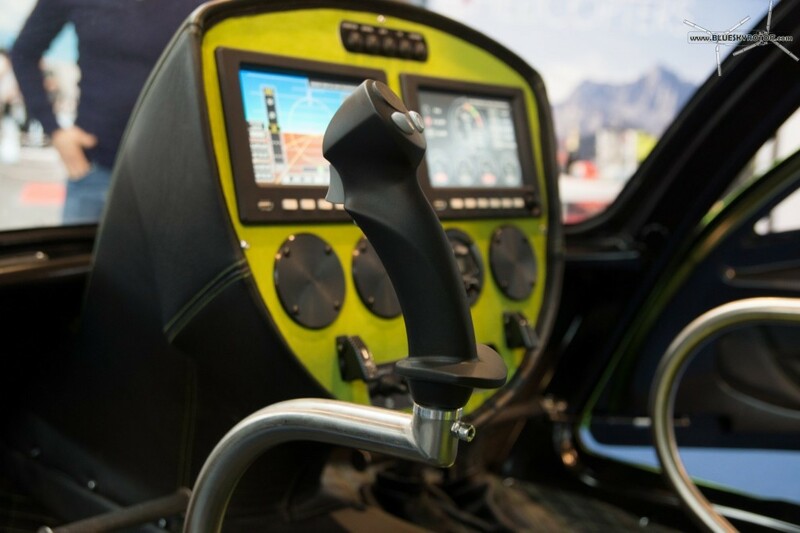 The two-seater is worldwide famous, but not yet big enough to seriously compete against the almighty Robinson. 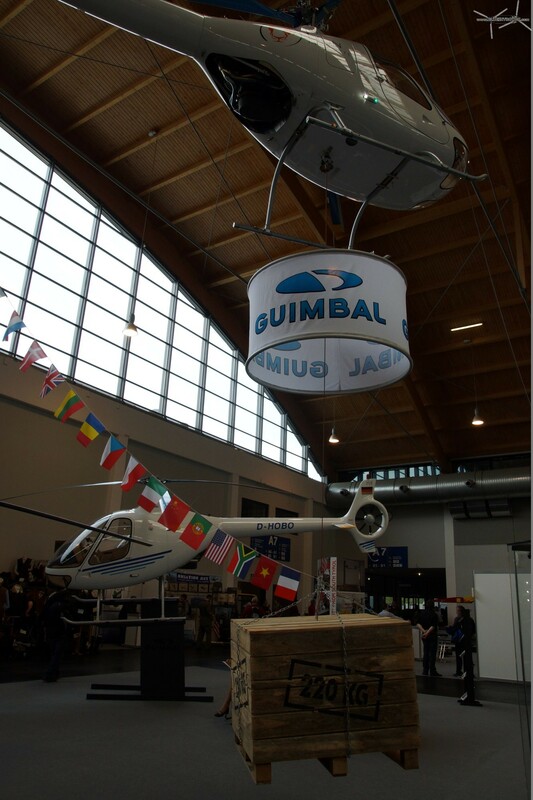 The Cabri is now fitted with a cargo hoist up to 220 kg and models produced after S/N 008 can be easily retrofitted. 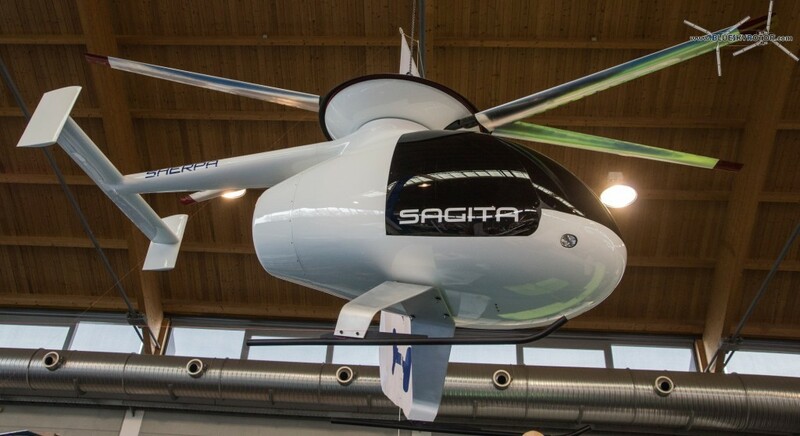 SAGITA Helicopters is a Belgian company created in 2008, working on a new helicopter design based on a Ljungström turbine. 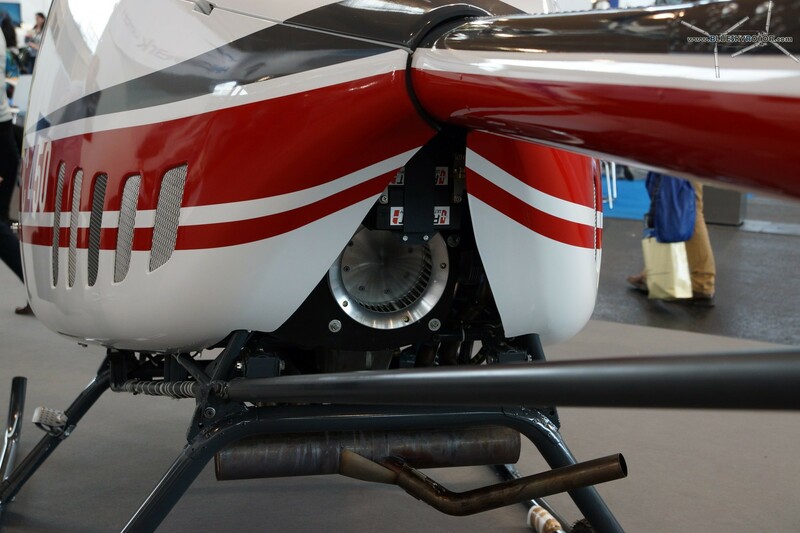 The bulky hull covers a centrifugal turbine, that powers both of the rotor plates. 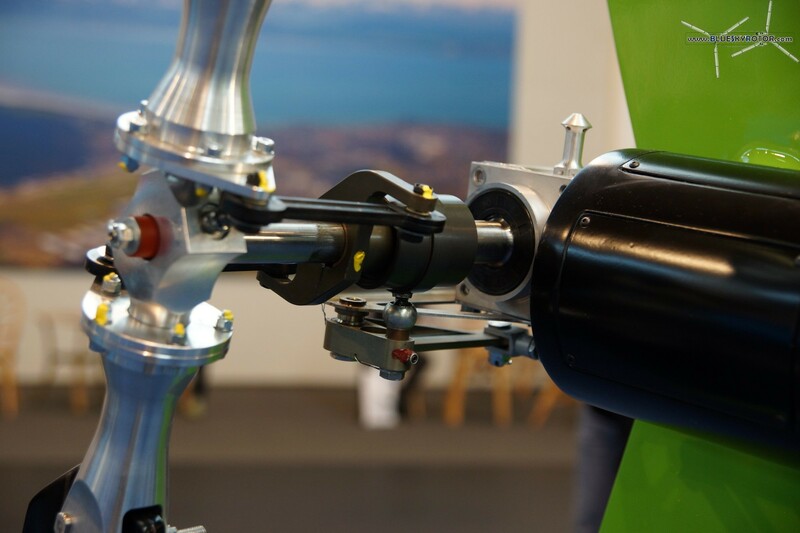 The 2 pairs of blades are contra-rotating coaxial rotors. 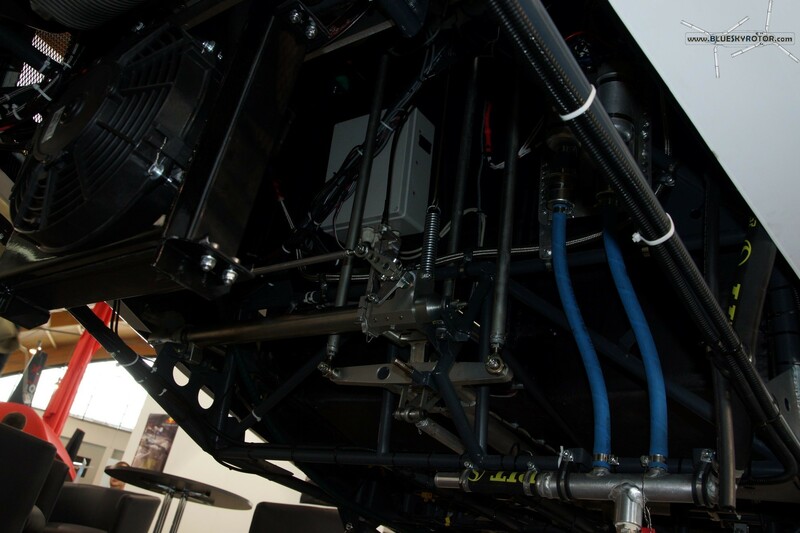 According to the brochure, the transmission system requires no lubrication or cooling! 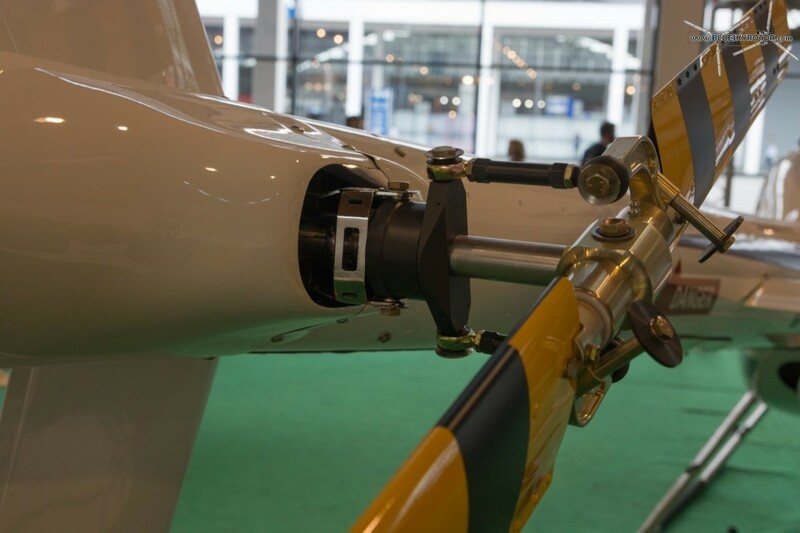 The air intake is located at the rear of the fuselage and the exhaust is a thin gap between the hemispheres of the rotor head. Despite succesful flight tests of a 1/5 scale model and wind tunnel experiments, the full scale prototype is expected to make its maiden flight only next year. 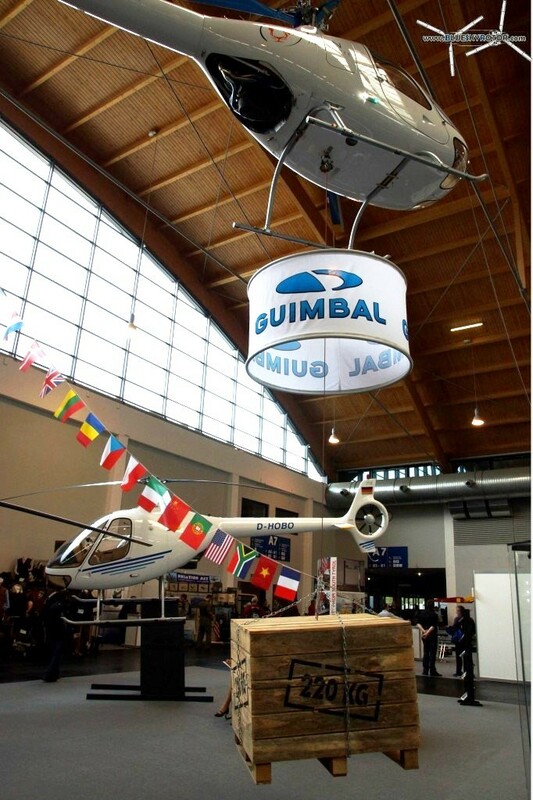 DYNALI is another Belgian helicopter manufacturer. 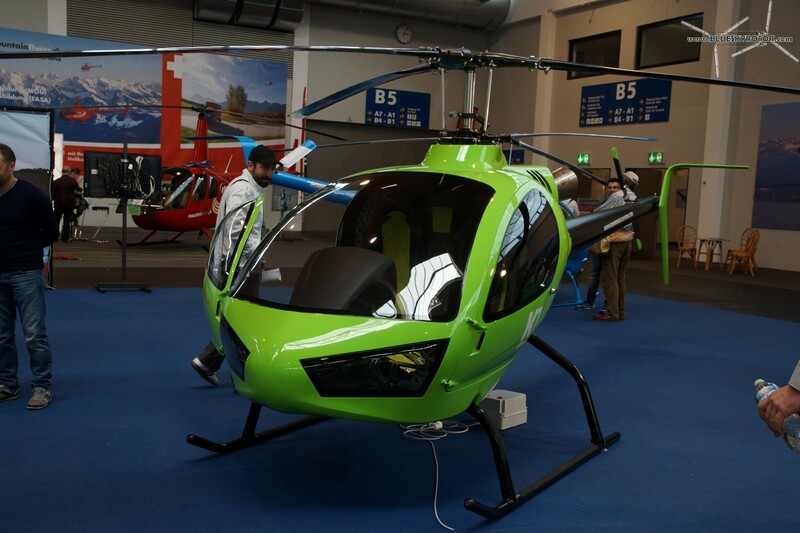 The first model, the H2, was under powered and got replaced by the H2S, powered by a Subaru engine. The H3 was on display. 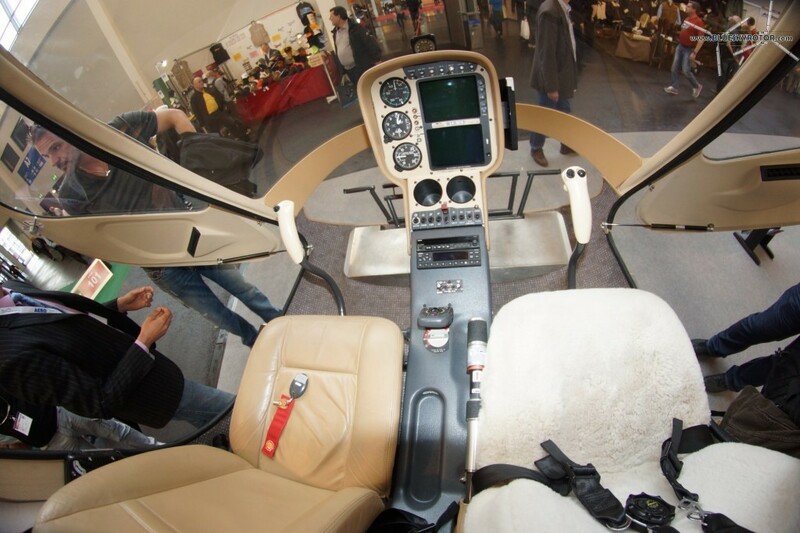 The H3 is available as a kit for 100 000 EUR or ready to fly for 110 000 EUR. 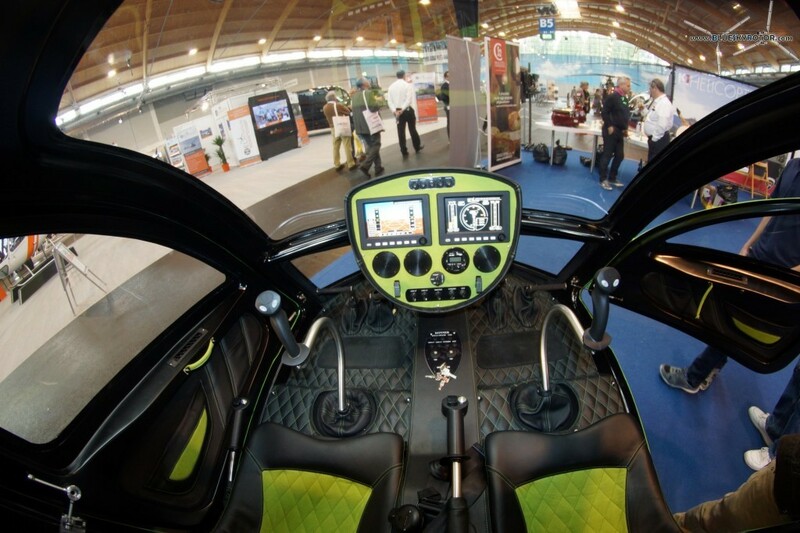 The H2S is more performing and comes with a slightly higher price of 125 000 EUR ready for flight. With a gross weight of 450 kg, the H3 qualifies as a Class 6 ULM in France. Unfortunately, the staff was not available to talk about the aircraft. Nevertheless, the brochure is very detailed and plenty of information. 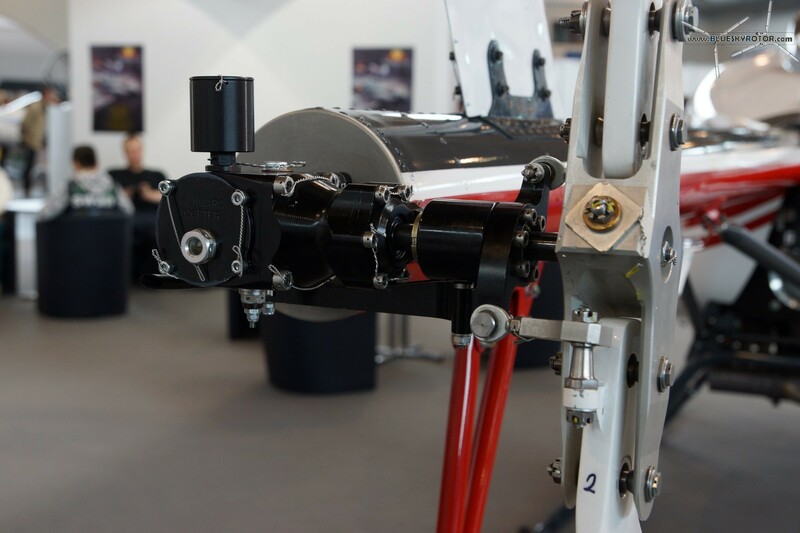 The two-seater is powered either with a Thunderbird 130 shp or with a Lycoming O-320 B2C (four cylinders and 160 shp) and qualifies as a French ULM with a gross weight of 450 kg. 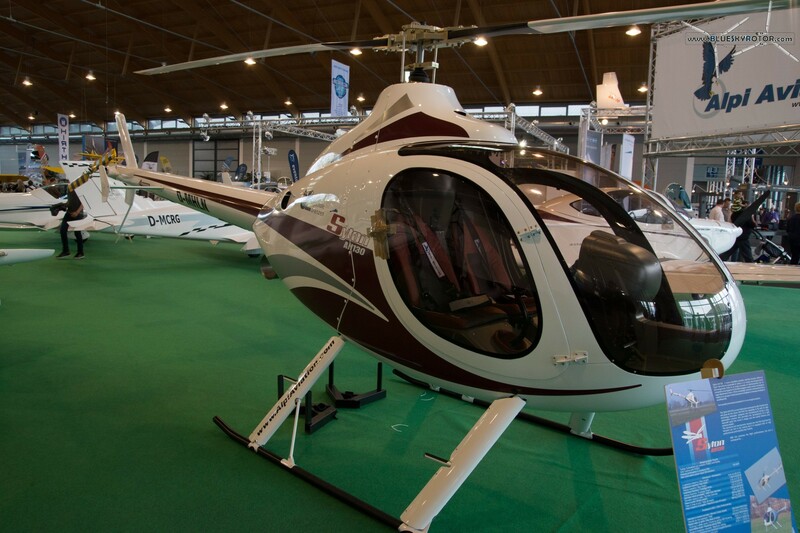 Yet another Italian helicopter manufacturer! Unfortunately, they were already packing and there was nobody to discuss with. 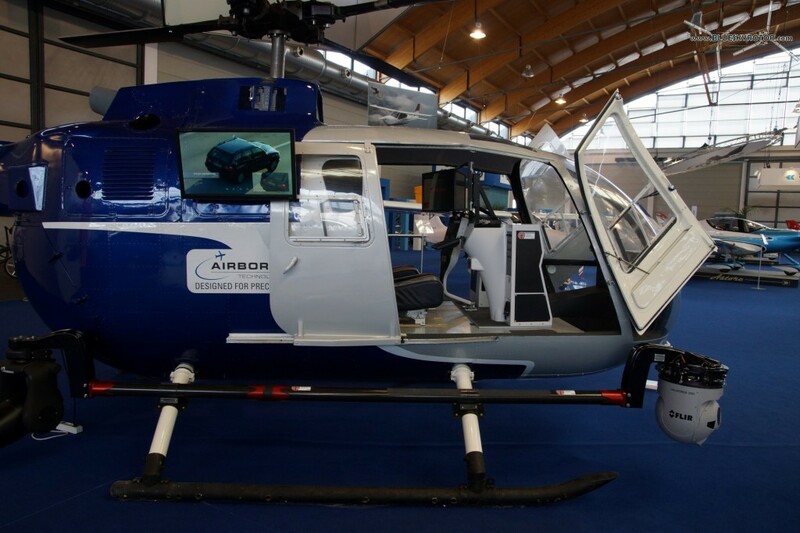 Konner is an Italian helicopter manufacturer producing its own Diesel turbo engines. The TK250 produces 250 shp at 2300 rpm. The warm welcome with big slices of prosciutto was noteworthy. 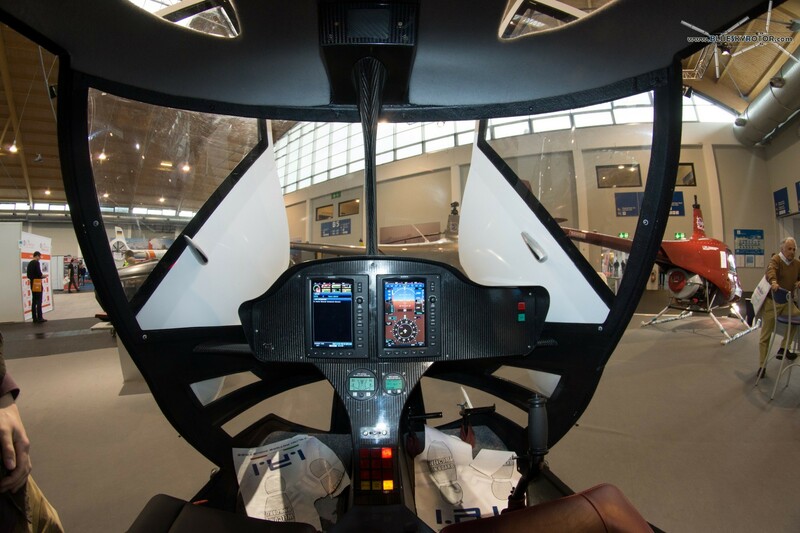 The aircraft seems to come in any colour you could imagine, inside as well as outside. 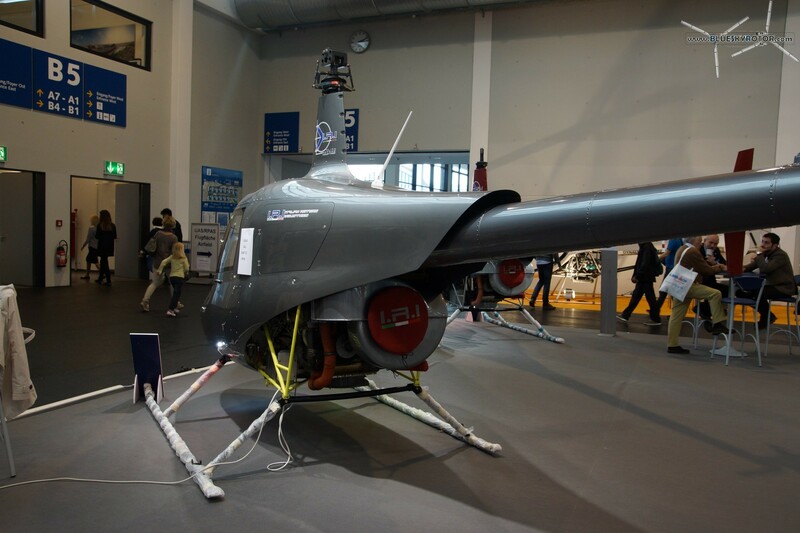 It can be powered with aviation fuel (kerozene, JP-4…) as well as diesel. 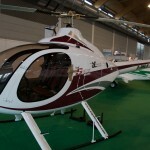 Example was taken from a customer in Micronesia using the helicopter as help for fishing. 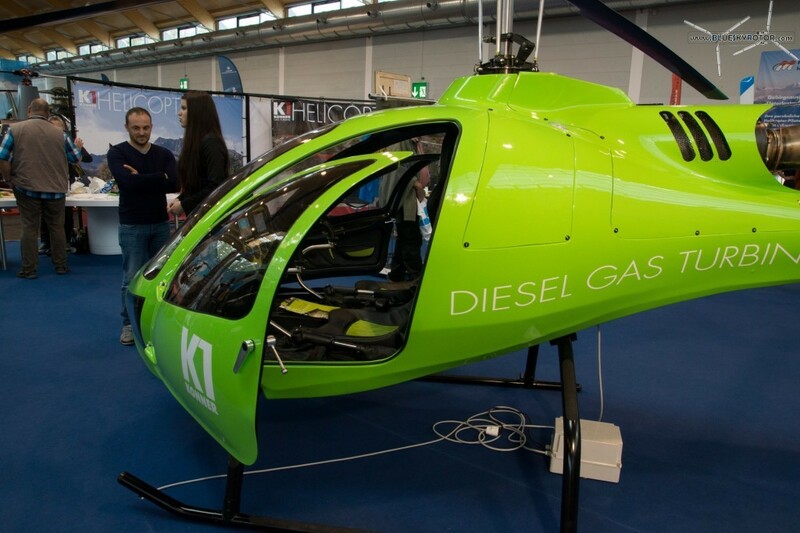 The aircraft is provided with the same fuel as the ship: diesel. 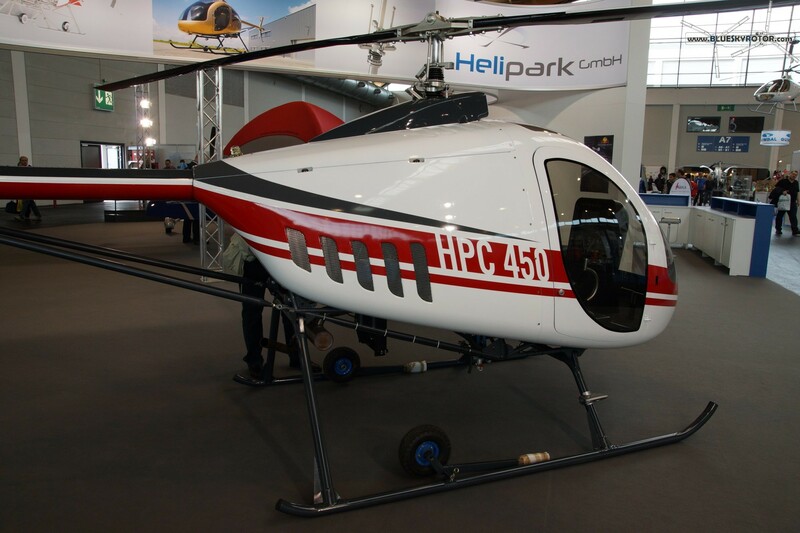 This German company started the development of the HPC450, a small helicopter. 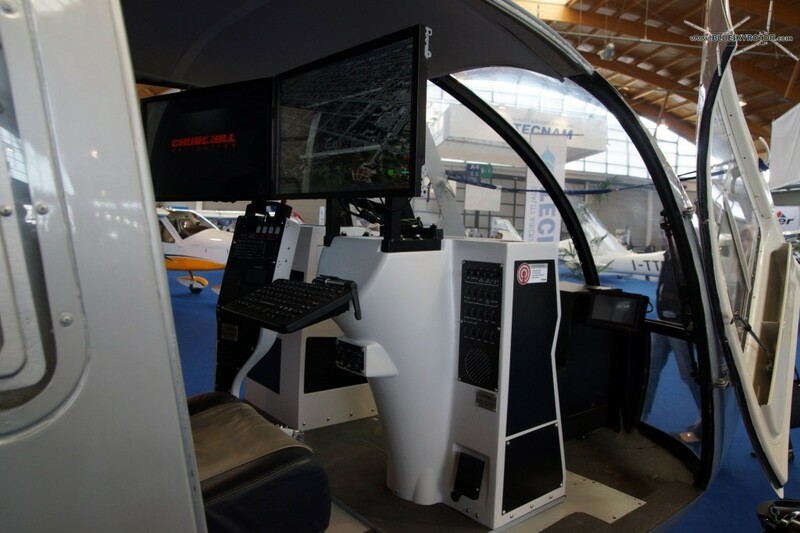 The model has never flown yet, but the display looked promising and we could expect a maiden flight soon.